Huawei is not listed, but China's second-largest telecom equipment maker, ZTE Corp <0763.HK><000063.SZ>, sank nearly 6 percent in Hong Kong while most of the nearby national bourses lost at least 2 percent. U.S. stocks also started lower, with the Dow Jones Industrial Average (.DJI) down 1.16 percent, the S&P 500 (.SPX) down 1.35 percent and the Nasdaq Composite (.IXIC) down almost 2 percent at the opening bell. 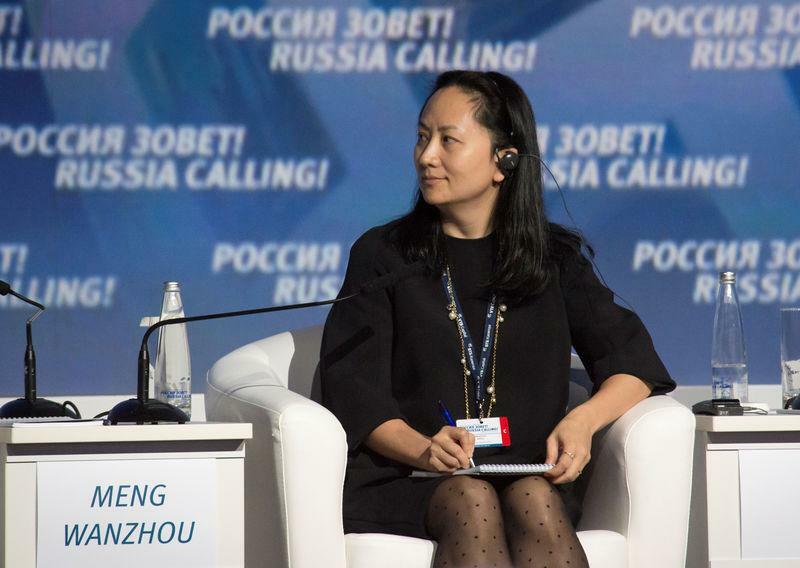 The probe of Huawei is similar to one that threatened the survival of China's ZTE Corp <0763.HK> <000063.SZ>, which pleaded guilty in 2017 to violating U.S. laws that restrict the sale of American-made technology to Iran in efforts to curb Tehran's missile and nuclear programs. News of the arrest came the same day Britain's BT Group (BT.L) said it was removing Huawei's equipment from the core of its existing 3G and 4G mobile operations and would not use the Chinese company in central parts of the next network.